I have been reading the letters that inspired – and continue to inspire – LettersHead. She really was ahead of her time; Mom should have been a blogger. Her words are inspiring, sweet, maddening, crazy, funny, wise. The best ones are family updates with a little local history thrown in followed by “I have been reading the Encyclopedia Brittanica on [insert topic here]” with a page or two xeroxed and stapled to the letter. 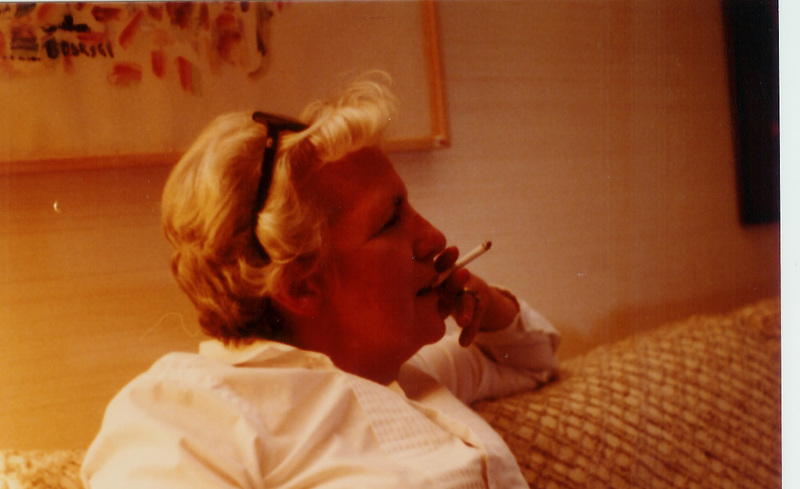 When I read them now I can understand exactly the way she felt as she sat at the typewriter tapping them out, cigarette burning on the ashtray to the right, Hershey bar half out of the wrapper to the left. We may not be passionate about exactly the same things but in large part we are both driven to do what is right for our families and to express it, explain it and expound on it early and often. At least once she signed my name to a Letter to the Editor because she had met her quota for the month. But a key thing I loved about her was that while on paper should could be relentless, most of the time in person, with the family around, she was such fun. I so wish she had taken the time to write down the stories she spun after dinner – a little less L’Osservatore Romano and a little more Spy Magazine. Both she and Dad had such great stories about the early and mid 20th century (their WWII courtship is a novel in itself) and they were good at telling them. I know that most of us (with some very notable exceptions) do not do them justice in the retelling. I admit there were days when those postage-paid envelopes with the telltale IBM Selectric type address on them stayed on the counter for a bit until I was ready to open them – but I’m glad I did and I’m glad I kept them. I made a fair number of attempts to bring Rooney into the computer age, but to No avail. Tom Z was a beneficiary when I did not want to take a PC back to Kalamazoo.